Ichigo and Ulquiorra's final battle properly gets underway with the two of them being more or less evenly matched. Ichigo is able to read his opponent's movements better than he could when they first fought, and manages to wound Ulquiorra, if even slightly. Ichigo surmises that it's either he is becoming more like a Hollow or his opponent is becoming more human, which angers Ulquiorra. Meanwhile, Chad and Renji fight a gigantic Hollow-Arrancar hybrid in the desert of Las Noches, eventually claiming victory after discovering its weakness. Back in the Tower, Orihime manages to protect Ichigo from a near-lethal attack from Ulquiorra. 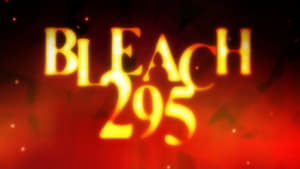 After getting saved by Orihime in his fight against Ulquiorra, Ichigo realises that he needs to up his game if he is to have any chance of defeating the number four Espada. With Ichigo distracted Loly and Menoly take the opportunity to finish Orihime off but things take an unexpected turn when Yammy decides to intervene. 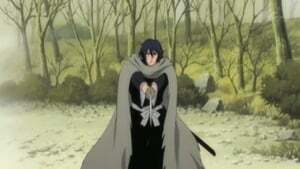 Ichigo is unable to release his full power in his battle with Ulquiorra for fear of injuring Orihime. However, once Ishida returns from his battle with Yammy in order to protect Orihime, Ichigo finally goes all out. Unfortunately for him so does Ulquiorra. Meanwhile, things are beginning to look desperate for Rukia in her fight against Rudobone and his seemingly endless army of soldiers. It is then up to Chad and Renji to step in and save her. Ichigo tries to fend off Ulquiorra's attacks with mixed results. 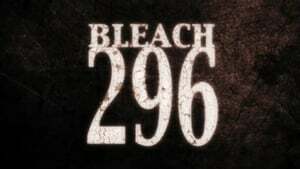 However he declares he will never give up even if the arrancar is stronger than he is. 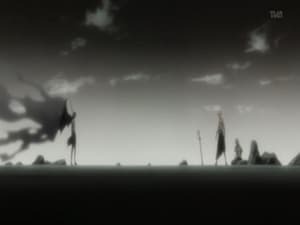 Ulquiorra responds by transforming into a second release, Resurrección Segunda Etapa, that he claims Aizen and his fellow Espada do not know about. Ichigo attempts to defend himself and get in an attack, but Ulquiorra is too fast and powerful for him. 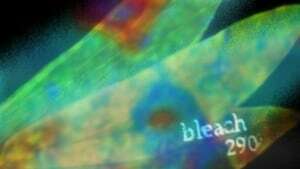 Eventually, when Orihime and Ishida reach the surface, they discover that Ichigo has already been weakened and captured by Ulquiorra. 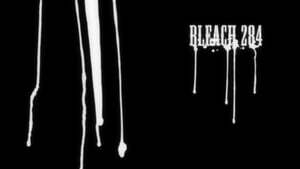 The Espada tells Orihime to watch how he will extinguish her last hope by killing Ichigo. With that, he punches a hole through Ichigo's chest by using his cero. 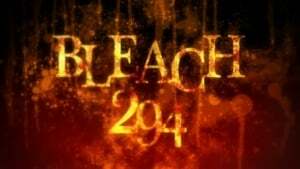 Episode 271 - Ichigo Dies! Orihime, the Cry of Sorrow! 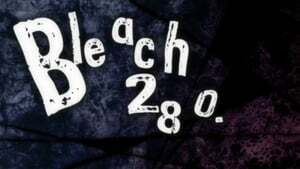 Episode 272 - Ichigo vs. Ulquiorra, Conclusion! Rukia, Renji and Chad continue their fight against Rudobone. However, no sooner do they finish him off than a very angry Yammy appears. 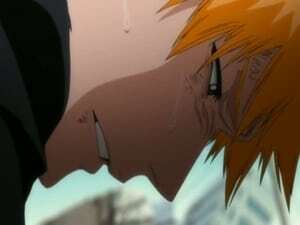 Meanwhile, Ichigo's fight against Ulquiorra finally comes to an end, albeit one that none of them expected. 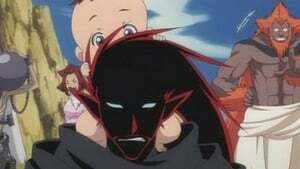 Yammy becomes enraged at Ulquiorra's death and releases his zanpakuto, Ira. 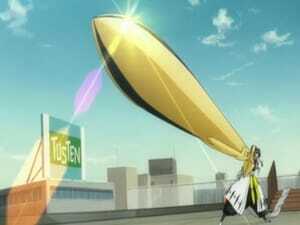 He grows to a colossal size and his rank increases from 10 to 0, explaining that the Espada ranks go from 0 to 9. Rukia, Sado and Renji go all out on him, but he successfully blocks all their attacks. Meanwhile, in the fake Karakura, Tia Harribel continues her fight with Toshiro Hitsugaya. 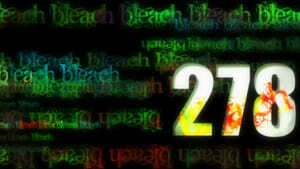 As the captains struggle against the Espada, Harribel releases her sword, Tiburon, and slices Hitsugaya's body in two. As she attempts to move toward the Captain-Commander Yamamoto, Hitsugaya reappears and reveals it was merely an ice illusion. Episode 274 - Hitsugaya, the Desperate Hyōten Hyakkasō! Captain Hitsugaya and Harribel use an array of water and ice-type attacks. Since Captain Hitsugaya can turn any water into ice, and Harribel can turn any ice into water, both of their attacks neutralize each other out. But, both of them has a plan to turn the battleground into water, and finish off the opponent in a single blow. 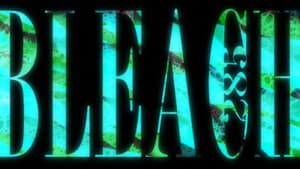 As Hitsugaya tries to keep up with Harribel and protect the injured lieutenants (Matsumoto, Hinamori, Hisagi, Iba), he is injured severely from Harribel's Cascada and a Cero. 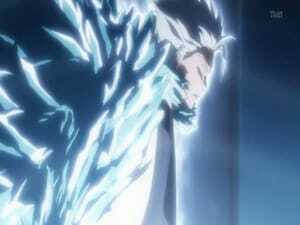 But, when Harribel comments on Hitsugaya not being able to fight at full strength, Hitsugaya stands up and extols at Hyorinmaru being the strongest of all snow and ice zanpakuto, which gives the wielder the control of the heavens. He is then about to unleash his strongest attack Hyoten Hyakkaso. 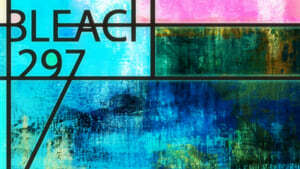 Episode 275 - The Approaching Breath of Death, the King Who Rules Over Death! Hitsugaya shows Halibel the true power of Hyourinmaru but in releasing his ultimate technique he risks the lives of his comrades. Meanwhile, Soi Fon and Oomaeda take on Barragan but Oomaeda proves more of a liability than an asset and even Soi Fon appears to be no match for Barragan's unique ability. 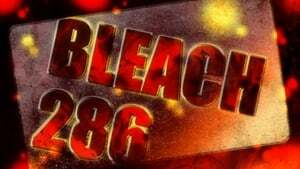 Episode 276 - One Hit Kill, Soi Fon, Bankai! Episode 277 - Climax! Kyōraku vs. Stark! Kyouraku's battle against Stark finally begins as Stark reveals the secret of his bond with Lilinette and releases his Resurrección form. As such Kyouraku is forced to start taking things more seriously and he even goes so far as to release his Shikai. However, even that may not be enough to defeat the number one Espada and in the end Ukitake steps in to help him out. Kyoraku allows Ukitake to join him in fighting Starrk. Starrk fights Ukitake for a bit and notices his shikai's technique which absorbs his cero's and shoot it back out again. Just then, a huge garganta opens up and reveals Wonderweiss and another gigantic hollow next to him. Wonderweiss then comes to each Esapada's aid by stabbing Ukitake in the chest while Starrk shoots Kyoraku with a cero making both Kyoraku and Ukitake faint to the ground. Wonderweiss then uses one of his loud screams which shatters the ice that Harribel was trapped in and she escapes unharmed. Wonderweiss then blows of the smoke remaining after Soifon's bankai missile out of Barragan making him resume his place. Just when all the Shinigami's begin to panic, the Vizards make an unsuspecting arrival right in front of Aizen, Gin and Tosen. It then goes to a little flashback of how the Vizards became Vizards and what Aizen did to them many years ago. 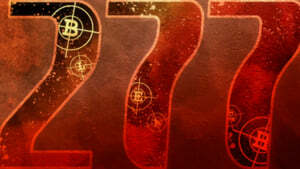 Episode 279 - Hirako and Aizen...the Reunion of Fate! Hirako and the other Vizards arrive at the fake Karakura town to assist with the fights. When Head Captain Yamamoto notices the Vizards it goes into a flash back from 101 years ago. This shows how Aizen performed hollowfication on all of the Vizards. After this it shows how Urahara was banished to the World of the Living, and that all the subjects that Aizen performed hollowfication on were to be treated as regular hollows. Back in the fake Karakura town Kirako asks if the other Vizards want to meet anyone before they continue. Lisa quickly rushes off to see Kyōraku. Hirako states that he is going to see Yamamoto. He explains to him that he is not their ally, but that he is Aizen's enemy. After that he he states that he is also an ally of Ichigo. Wonderweiss Margera starts shouting very loud which causes Fūrā to open up and then releases a lot of Menos, but the Vizards quickly defeat them. Hirako confronts Aizen and hopes to finish it. However Tōsen stops the attack before it strikes. Hirako and Tōsen then begin to fight. Tōsen is about to strike Hirako but is stopped by Komamora. Harribel breaks out of the ice that Hitsugaya enslaved her in and goes for the strike, but Lisa stops the attack in time. Hiyori also comes to help. Mashiro goes and attacks Fūrā and she quickly defeats it and Love and Rōjūrō confront Starrk. 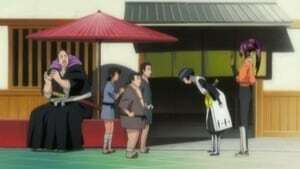 Komamora starts speaking with Tōsen which is quickly interupted by Hisagi who wants to join Komamora in defeating him. Hisagi joins Komamura to battle Tosen in hopes of bringing his former captain back to his senses. Meanwhile the other Soul Reapers form an uneasy alliance with the Visoreds: Lisa, Hiyori, and Hitsugaya take on Halibel. Love and Rose take on Stark. Hachi, Omaeda, and Soi Fon take on Barragan. 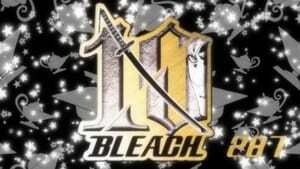 The battle against the Espada resumes! Barragan survives the Soi Fon's bankai although half his face has been destroyed. In anger he fires out his Respira attack until he rots away Hachigen's hand. However, Hachigen removes his hand via kido and places it in Barragan's body, causing him to rot away. 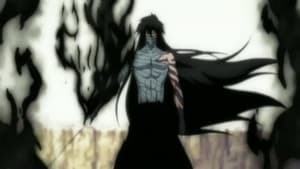 Barragan shouts how he will kill Aizen, and in a flashback it is revealed he was once the self-proclaimed ruler of Hueco Mundo until dethroned by Aizen. In his final moments, Barragan tosses his axe at Aizen but it disintegrates and Barragan dies. Stark shows distress at his death and vows to avenge him. Episode 282 - Power of the Soul! Los Lobos, Attack! Stark shows no sign of getting serious in his battle against Love and Rose. Running out of patience, Lilinette begins to mindlessly fire at the two Visoreds without Stark’s permission. But her attacks prove to be ineffective against the two, and she is gradually cornered by the pair’s fine team play. 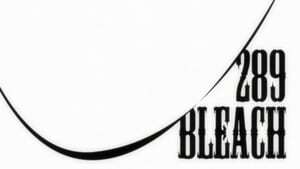 Finally, Love hits Stark with his Zanpakuto attack, and the Espada is thrown into a sea of flames. Stark splits his own soul and shapes it into packs of wolves and launches them against Love and Rose. Preparing to deliver the finishing blow, Stark is caught off guard by Shunsui, who suddenly appears out of Stark’s shadow. Despite his best efforts to dodge the attacks, Stark is gradually weakened. Just then the wolves, headed by Lilinette, swarm over Shunsui. He brushes them off, and the wolves disappear. Stark calls out for Lilinette but hears no reply. Las Noches. Long ago, Apache, at the time still an Adjucha-class Hollow, was hunted by other Hollows when Halibel saved her life. Apache soon joins Halibel’s group consisting of Sun-Sun and Mila Rose. As they spend more time together, Apache notices Halibel does not devour the enemies she defeats. When questioned, Halibel responds that she does not wish to become stronger by sacrificing others. With the Espada gone, the Visoreds are now able to confront Aizen. Having been unwilling test subjects in Aizen’s past experiment, the Visoreds make no effort to hide their hatred toward the man who destroyed their lives. Hiyori, unable hold in her anger, is the first to attack Aizen with her blade. Meanwhile, Chad, Renji, and Rukia continue their fight against Yammy in Hueco Mundo. Ichigo goes up against Yammy. 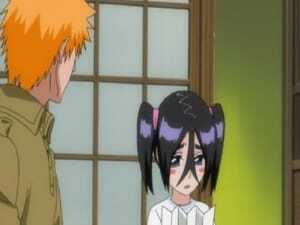 Rukia notices that Ichigo is acting strange following his battle with Ulquiorra and shows her concern for him. Ichigo is also shaken up by the fact that his Hollowfication now feels different. But, unable to forgive Yammy for labeling Ulquiorra and Grimmjow as trash, Ichigo makes another attempt at his Hollowfication. Kenpachi overcomes Yammy’s monstrous size and tough exterior to land a clean blow against the Espada. Meanwhile, Ichigo uses Garganta to return to the World of the Living. On the way, Captain Unohana explains to Ichigo about Aizen’s power of “Complete Hypnosis.” She then reveals that Ichigo is the key to defeating Aizen. 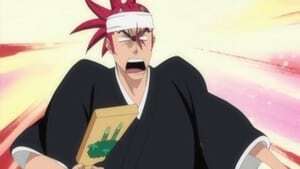 As he holds a dying Hiyori, an enraged Hirako readies himself to confront Aizen in battle. Meanwhile, Hisagi and Komamura battle Tosen in a desperate attempt to bring their former ally back to his senses. But Tosen, who believes he follows a just path, ignores their plea and attacks them. Komamura performs his Bankai, Kokujo Tengen Myo-oh, to subdue Tosen. However, Tosen has already deduced the weakness of Komamura’s Bankai from years of working closely together. Despite the damage received, Komamura refuses to give up on his former friend, throwing out the question of why Tosen chose to become a Soul Reaper in the first place. 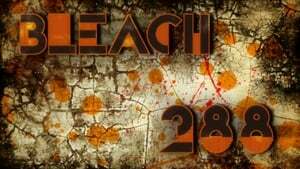 Episode 291 - Desperate Struggle with Aizen! Hirako, Shikai! Tosen is now able to see in his Ressureccion form. But Komamura states that in exchange for his vision, Tosen has now blinded his own heart. Unable to bring himself to kill the man he wanted to save, Komamura falls before Tosen’s attack. Meanwhile, Hirako prepares to use his Shikai, Sakanade, against Aizen. Ichigo has returned to the World of the Living to battle Aizen. After an unsuccessful first attack, Ichigo Hollowfies to deliver his Getsugatensho against Aizen, but that too proves ineffective. 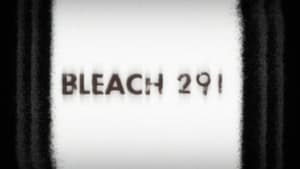 Witnessing the immense power Aizen holds, Ichigo begins to lose his will to fight, when the Thirteen Court Guard Squads stand up to support him. 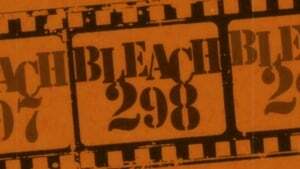 Episode 293 - Blade of Hatred! Hitsugaya, Enraged! The Thirteen Court Guard Squads and Visoreds launch a full-scale attack against Aizen. 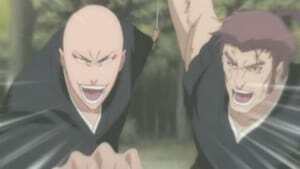 But Aizen makes quick work of their combined efforts. 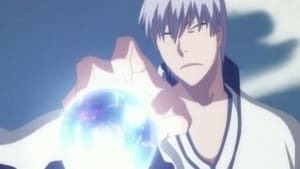 Just when all hope is thought to be lost, Hirako uses his Zanpakuto’s power to draw away Aizen’s attention, giving way for Hitsugaya to deliver the killing blow. Episode 294 - Impossible to Attack? The Sealed Genryūsai! Head Captain Genryusai Yamamoto of the Thirteen Court Guard Squads steps in to battle Aizen. Genryusai’s attempt to incinerate Aizen in a blazing inferno is thwarted by Wonderweiss, whose Ressureccion form extinguishes the flames. Wonderweiss is revealed to be a Mod Arrancar created by Aizen for the sole purpose of sealing away Genryusai’s zanpakuto, Ryujinjakka. 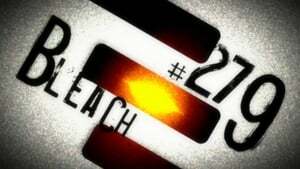 Episode 295 - It's All A Trap...Engineered Bonds! 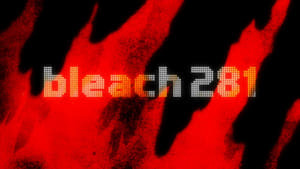 Ichigo succeeds in wounding Aizen with his Hollowfied Getsugatensho attack. But to his surprise, the Hogyoku instantly heals Aizen’s wound. Aizen then reveals an even more shocking truth to Ichigo. 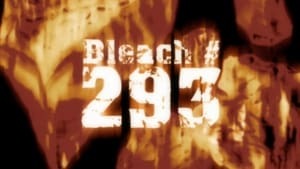 Episode 296 - The Shocking Truth...The Mysterious Power Within Ichigo! Episode 297 - The Extending Blade?! Ichigo vs. Gin! As they cross blades, Gin asks Ichigo if he recalls their last encounter, to which Ichigo responds he does not remember Gin’s “heart” being present back then. Ichigo’s answer prompts Gin to display his Bankai and its incredible power. Meanwhile, Isshin notices a change occurring within Aizen. Episode 298 - Film! Festival! Shinigami Film Festival! Episode 300 - Urahara Appears! Stop Aizen! Kisuke Urahara steps onto the battlefield as Aizen, fused with the Hogyoku, begins his transformation. Urahara’s Kido attack appears ineffective against Aizen, who claims he has complete control over the Hogyoku. But Urahara’s true goal was to turn Aizen’s own spirit energy against himself. Episode 301 - Ichigo Loses His Fighting Spirit!? Gin's Expectation! Ichigo finds himself cornered against Gin’s Bankai. But to Ichigo’s surprise, Gin advises him to run from this battle. Meanwhile, Urahara, Yoruichi, and Isshin fight Aizen in a three-on-one battle. But none of their attacks appear to work against Aizen. 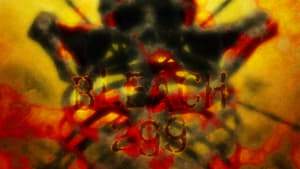 Episode 302 - The Final Getsuga Tenshō!? Ichigo's Training! 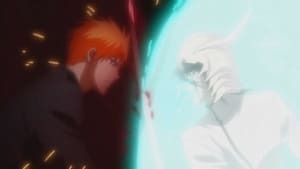 Ichigo fights to learn the Final Getsuga Tensho technique... but first he must convince Zangetsu to teach it to him. Meanwhile, Aizen and Gin walk through the real Karakura Town. 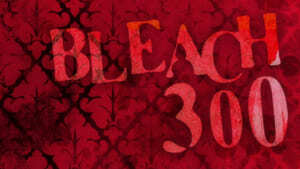 Episode 303 - Real World and Shinigami! The New Year Special! The Women’s Soul Reaper Association is hosting a New Year’s party in the Soul Society, when Hitsugaya and the other male Soul Reapers come crashing in. Meanwhile in the World of the Living, everyone is spending New Year’s with their families. Orihime, who has no family, spends her time alone, when Rukia and Renji come by to say their New Year’s greeting. Episode 304 - Another Side Story! This Time's Enemy Is a Monster!? Episode 305 - Delusion Roars! Hisagi, Towards the Hot Springs Inn! 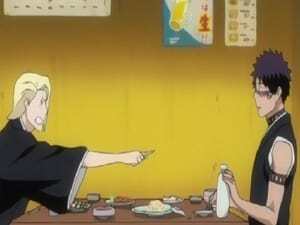 Shuhei Hisagi leads a busy life handling the duties of Squad 9 Lieutenant and Editor in Chief of the Seireitei Bulletin, as well as preparing picnic lunches for the Soul Reapers. 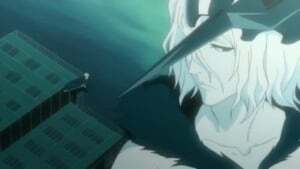 One day, Hisagi and Rangiku are sent to investigate a string of disappearances in the Rukon district. But being alone together with Rangiku causes Hisagi’s imagination to go wild, which worsens when Rangiku suggests spending the night at an inn. Episode 306 - For the Sake of Protecting! Ichigo vs. Tensa Zangetsu! Aizen and Gin close in on Tatsuki, when Don Kanonji comes to the rescue. A still-injured Rangiku also arrives to confront Gin. Meanwhile, seeking to learn the Final Getsugatensho, Ichigo battles Tensa Zangetsu and Hollow Ichigo, who have now merged into one being. Episode 307 - Emergency Situation! Aizen, New Evolution! Episode 309 - Fierce Fighting Conclusion! Release, the Final Getsuga Tenshō! The battle in Karakura Town and the Soul Society has come to an end. Karakura Town is returned to the World of the Living using Mayuri’s technology, and everyone prepares to return to their respective places. 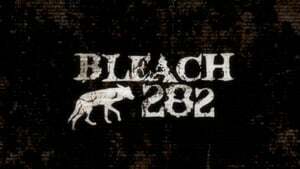 Ichigo is reunited with his friends who have returned from Hueco Mundo, when his condition suddenly changes. Episode 311 - The Soul Detective: Karakuraizer Takes Off Again! Karakurizer is back! As Karakurizer, Kon tries to impress the ladies when a man named Michel appears. Strong, kind, handsome, and a true hero, Michel instantly gains popularity from the townspeople and the other Karakurizer. Can Karakurizer reclaim the title of No. 1 hero?! Go, Karakurizer! Episode 312 - Inauguration! The Brand New 2nd Division Captain! While slacking off on his duties, Omaeda falls from a cliff. Recovering from the fall, Omaeda finds a young boy named Ryuzaburo staring at him with admiration and learns that he has unintentionally saved the boy’s life from a Hollow. When asked for his name, Omaeda lies and says he is the captain of Squad 2. Episode 313 - The Man Who Risks His Life in the 11th Division! The episode starts off with Ichigo sparring with Renji and after that a man from squad 11 named Seizo gives the two tea, but everyone seems to disrespect him and Ichigo wonders why. It is later revealed that Seizo was once a strong warrior, but because he lost almost all of his spiritual energy to a hollow he became weak and no one after that respected him. 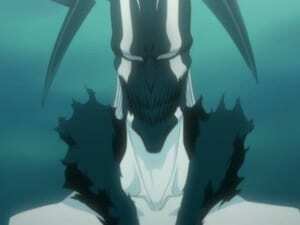 After regaining his confidence in his skills he defeats a group of hollows alongside Ikkaku. The episode ends with Seizo leaving the Thirteen Court Guard Squads with all of Squad 11 including Ikkaku bowing down to him in respect. The episode begins with Kon yelling out the window about his imprisonment in Ichigo's room, just then a pretty a lady walks by and Kon tries to jump out to her as she asks for directions which Ichigo gives her. 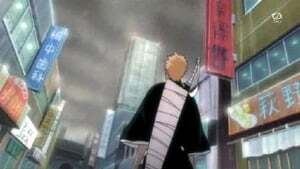 Ichigo's badge rings as a hollow appears and Ichigo rushes out in his Soul Reaper form. Kon is later seen taking a stroll on a bridge in Ichigo's body and spots the girl from before who was asking for directions as she is about to jump off the bridge. Kon runs to save her, but instead of saving the girl, he falls off the bridge himself. As the girl and Kon talk it is revealed that the girl can see Hollows and Soul Reapers and because of this her boyfriend Ken breaks up with her and also that the girl's name is Haruko. Ichigo finds Rukia and Rukia tells him that there has been a Hollow that has been sucking out the souls of humans. As Haruko leaves Kon and is by her self, she is attacked by that Hollow and Kon arrives just in time to save her. After the incident Haruko's boyfriend Ken arrives to apologize for what he did and it turns out that it wasn't Ken at all, but the hollow itself and is able to take over Haruko as well. Kon fights Haruko and manages to get the hollow out of her, but just then Kon's pill pops out of Ichigo's body and he is no longer in control of it. Before Kon in his pill is eaten, he is saved by Ichigo who kills the hollow. 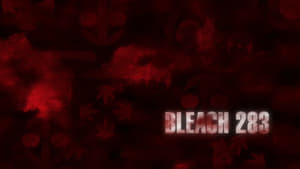 Haruko mistakens Ichigo as Kon and decides to take Ichigo as her boyfriend and leave Ken, but just then Rukia arrives and using her memory erasing spray, she erases the memory of Hakuro and Ken. The episode ends with Haruko and Ken holding hands and resuming their relationship knowing nothing of what happened. Episode 315 - Yachiru's Friend! The Shinigami of Justice Appears! Yachiru encounters an old friend she calls Mappy, and a new face, Mayu. Mappy, or Masayoshi starts to tell the two about how a hollow killed his wife. Mayu, having had her parents killed by a hollow starts to feel a bit close to Masayoshi. Later, after a talk with Kenpachi, Yachiru warns her not to get too close to Mappy. However, this was immediately after asking to travel with him. Later on, Masayoshi protects Mayu, and asks her to accompany him as she had previously asked. Then, Yachiru jumps between the two, and reveals that Kenpachi told her how a hollow possessed Masayoshi, as proven when his love for sweets and the memory of his wife's name were now gone. Masayoshi at first doesn't believe it, but Yachiru insists. He begins to transform into the hollow in his panicked state. Just then, a hollow shows up behind Mayu, and Masayoshi jumps in and kills it, however fatally wounding himself in the process. Masayoshi dies happily in Mayu's arms after having some konpeito candy from Yachiru, remarking how good it is. Episode 316 - Toshirō Hitsugaya's Holiday! Captain Hitsugaya takes leave from the 13 Gotei Squads to visit Grandma Haru, a friend of his in the real world.